An offer in compromise (OIC) is a unique settlement option where the IRS agrees to accept less than the taxpayer actually owes. For taxpayers that feel the assessed amount of their tax bill was unfair or for those who may never be able to pay their entire tax bill due to a financial hardship, this could be an attainable settlement option. 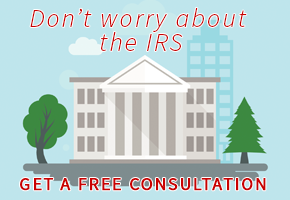 Obviously, the IRS does not easily accept this type of offer but if your case meets the requirements, a skilled tax accountant, like the professionals at Stuart C Hill Jr., CPA, PLLC, can construct a sufficient offer. To make a true determination as to whether or not you qualify for an offer in compromise will require the expertise of a tax professional. To find out if your particular situation qualifies for this type of tax relief, review the information below then call us at 817-332-3320 to discuss your case. We understand what kind of evidence needs to be presented to the IRS in order to agree to reduce your tax debt. To qualify for this provision, a taxpayer must deliver ample evidence that the assessed tax liability is incorrect and consequently, they should not be liable for the full amount. If a taxpayer can show that they don’t currently have the ability to pay their tax debt and the IRS probably never will recover the full amount, then they may qualify for a reduce bill under this category. This relatively new option was created for taxpayers who are unable to work to pay off their tax debt because they’re elderly or in very poor health and can't work. There are a few main types of offers and the actual payment will be calculated based on your income, expenses and asset equity. This is the most common and least costly type of payment option. To establish the amount to be paid, the IRS calculates the taxpayer’s future earning potential and determines a net available income by comparing gross income and allowable expenses. This payment option requires the taxpayer to pay the debt off through monthly payments over a 24 month period. Although they will have more time to pay off the debt, the total offer amount will be higher than the Lump Sum Cash Offer. This is the most costly type of offer and doesn’t always provide a significant benefit to the taxpayer. It allows the person to make monthly payments based on their calculated net available income over a longer period of time, but they will continue paying for as long as it takes to pay off the debt.